Includes projectable pages of each little book for shared reading. 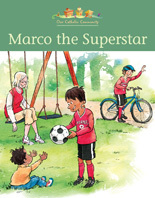 Also includes a wordless version of each little book to support writing, and oral language development. Every name has a special meaning. 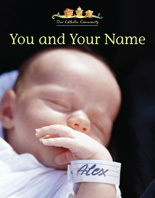 Our names are chosen just for us, and tell people who we are. 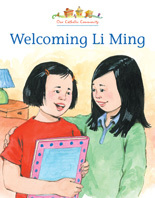 Li Ming has just moved to Canada with her family. Maddie decides to do all she can to make Li Ming feel welcome in her new community. When Mom is called in to work and the babysitter asks Marco for help, he realizes he knows a lot more about taking care of his little brother than he thought he did. God made each one of us special. God gave us our own unique gifts and talents to share with others. Invoice Title: CATHOLIC LB 6-PACK GR2 WHAT IF? 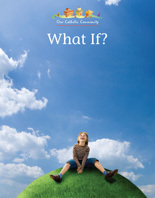 Invoice Title: CATHOLIC LB 15-PK GR 2 WHAT IF? 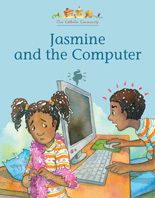 Jasmine uses the family computer without asking permission, and once she regrets her decision, she asks for forgiveness. Our journey of faith begins on the day that we are baptized. 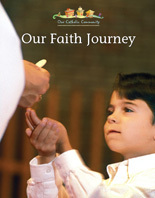 Our Faith journey helps us to become closer to God, our Loving Creator. The Catholic Church has its own calendar. 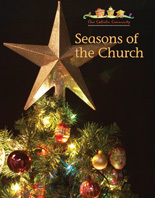 It shows the special times and seasons that are celebrated during the church year. Living things need air and water to survive. 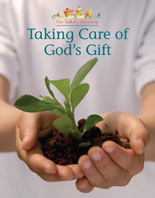 Taking care of the earth’s environment shows our respect for this gift God has given us.